Today I added the below caption and image to the Trombone History Timeline (19th century, first half). The images expands quite a bit if you click on it. The slide grip of both trombonists, you will notice, is awkward (to put it mildly). 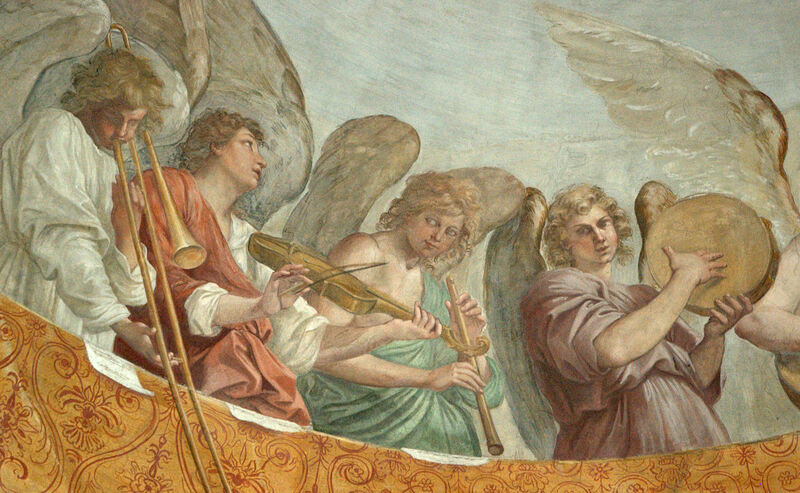 I also added the picture to the article, Backward Advances: Rear-Facing Trombones Throughout History, which now has more than 50 visual examples, and decided to append this generalization: “I would probably characterize it [the over-the-shoulder trombone] something like this: Iconography suggests that the over-the-shoulder trombone, which can occasionally be seen in images before the 19th century, became widespread in the 19th century. Use of the instrument appears to taper off by the end of the century. Although there is significant variety in iconography, many of the images originate from France, and a large number of them are military.” If you’re like me, you see a generalization and you immediately want to look for exceptions. Well, have at it, itchy fingers (comment box below)! 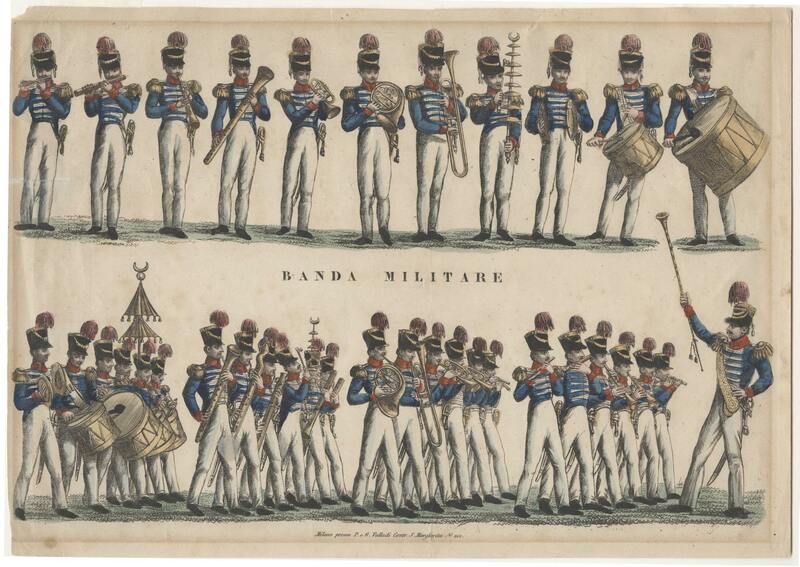 1820—A hand-colored engraving, entitled Banda Militare, includes depictions of 2 rear-facing trombones (see below image; click on image to expand; public domain) (Oberlin Conservatory Special Collections).